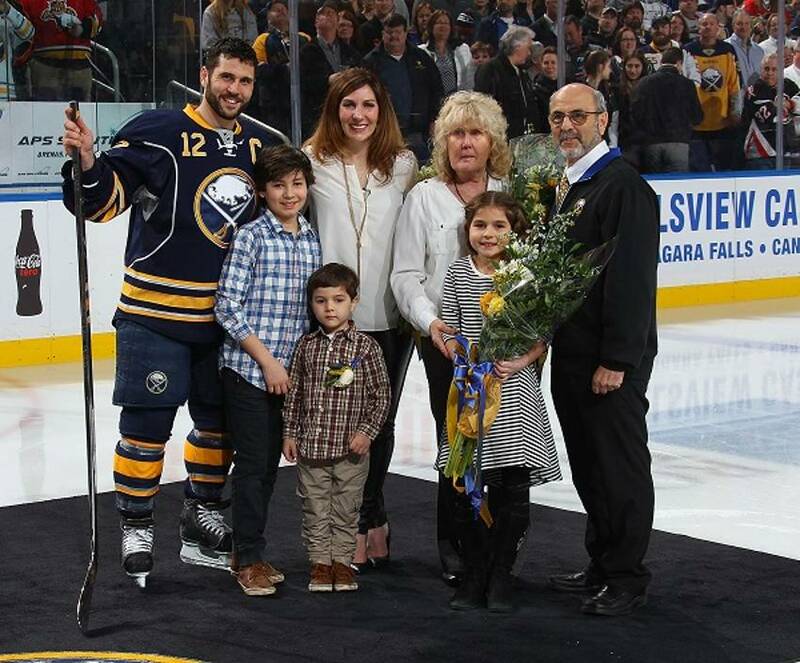 Sam Gionta still can’t quite wrap his mind around how quickly his son Brian's NHL career has gone by. 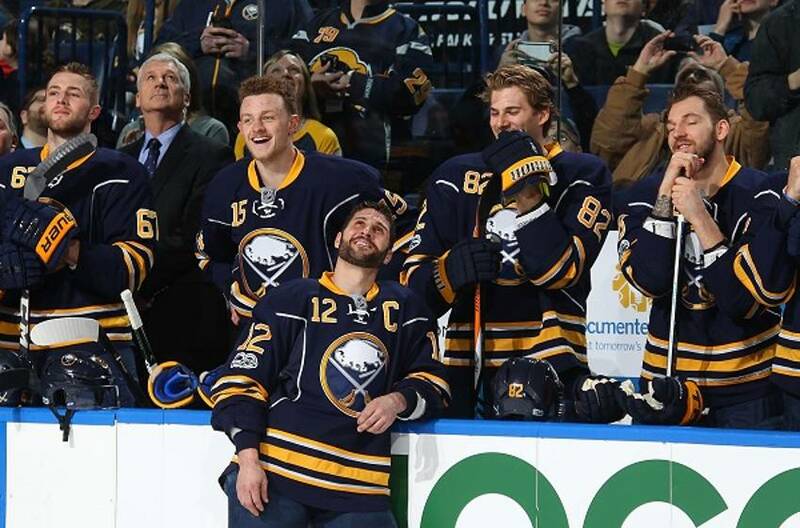 He knew he’d be reminded of it again when the Buffalo captain skated in his 1,000th NHL game on March 27. And he was. In his third season with the Sabres and 14th overall, Gionta became the 312th player and 43rd American to reach the 1,000-game mark. He celebrated in style after the pre-game festivities and a touching video tribute, by scoring the game-winning goal and earning first star honours in a 4-2 Buffalo home win over Florida. The milestone brought back a wealth of memories for the 38-year-old’s father and Kris Hicks, Gionta’s former junior coach. Over the years, they’ve watched the Rochester, New York native win a national championship at Boston College, get drafted 89th overall by New Jersey in 1998, celebrate a Stanley Cup with the Devils in 2003, captain the Montreal Canadiens and take on the same role with Buffalo. Both men speak of one constant throughout Gionta’s hockey life: the jerseys have changed, but the player and person has not. Sam and Brian would travel 90 miles each way every day for practices with the Scenics. Sam would drive while Brian would use the time to keep up his grades. Hicks still marvels at the level of commitment. The hard work on and off the ice paid off with a scholarship to Boston College, where Brian played four seasons, winning a championship as a senior in 2001. 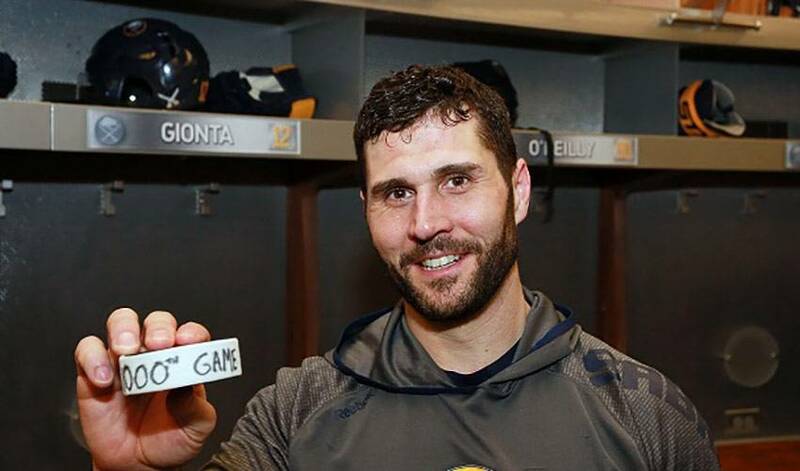 And now, 16 years later, Gionta’s former coach (they still stay in touch and play a round of golf every now and again) and family had the chance to witness another major hockey highlight. Sam Gionta didn’t need to finish the thought. He didn’t need to. For those who know Brian best – family, teammate or former coach – being a team player has always just come naturally.